Affordable Roberts Creek home ! 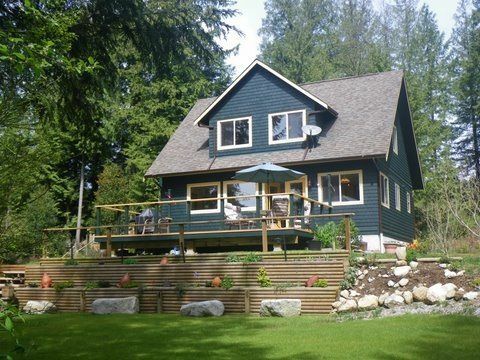 Nestled on almost 5 acres, this 3 bdrm, 2 bthrm 1500 s.f. home is at the back of the property for privacy, surrounded by natural garden areas, and ready for your creative ideas! It comes with 1 bedroom guest cottage; 2 bedroom mobile; separate workshop; RV site; w. and storage shed, most w. own hydro meters. Rent the whole package for $4400. mth - or live in main house and still have approx. $3000. rental income for your lifestyle ! Picturesque property looking for a loving owner or investor ! Note: separate driveway to keep your privacy while living in the house. or bring your family !!! !